Weber Packaging Solutions, Inc. (www.webermarking.com) is an innovator in the design, manufacture, and supply of high-performance labels and labeling products. They provide the latest in systems, software, and media; then back them with a nationwide network of service, and technical support. Since the founding in 1932, Weber Packaging Solutions has grown into an international labeling leader. From the world headquarters and manufacturing facility in Arlington Heights, Illinois, and other plants worldwide, they provide products and solutions to over 50,000 companies. Recently, Carson Blackwell, Account Manager for Weber Packaging, (Twitter: @labelsales, Linked In: http://www.linkedin.com/pub/carson-blackwell/20/825/506/, About Me: http://about.me/CarsonB) and I visited a chemical manufacturing prospect who was interested in changing the way they print labels. It was great to attend this sales call with Carson as he obviously had a great relationship with this company. Based on this call, I wanted to share with you the characteristics that make these companies great targets for print on-demand color labels. First, this company uses a color laser printer already to produce labels. According to the Vice President of the prospect, color labels provide a positive brand and company image, especially when compared to black only labels. But color doesn’t mean it must cost a lot. If you or your customers use color laser printers to produce labels, you’ll save significantly money by switching to inkjet label printers. You may remember my post detailing the cost difference between color laser and inkjet label printers: http://colorlabelsondemand.blogspot.com/2013/02/laser-versus-inkjet.html. Or my work with FX Luminaire: http://pos.epson.com/colorworks/assets/ColorWorks_FX_Luminaire_SS.pdf. In both of these posts, you’ll see that inkjet printers save about 70+% versus color laser printers. This specific prospect pays over $1,500 to fill the printer once with the 4 color laser toner cartridges, versus only $106 for 4 ink cartridges in the GP-C831. 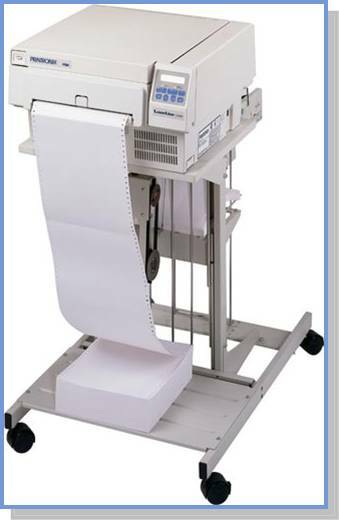 In addition to the cost savings, the inkjet printers have a much more durable media handling, causing less problems. 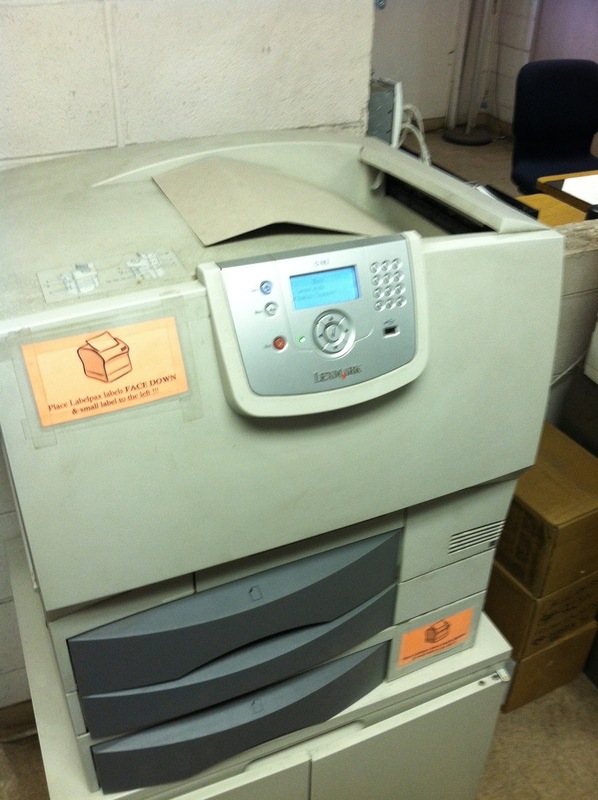 With this laser printer, the chemical company has issues with paper jams and static electricity buildup. It is not uncommon for sheet fed printers with drums, rollers, etc. to have problems with labels. Just look at the wasted labels. Also, the company discussed issues with applying the sheet-fed, “loose” labels outside in the wind. The labels can “fly” away easily. According to Carson, “It would obvious that the GP-C831 would be a better fit for this company. With the fanfold, pin-fed media, this company would have a much easier time handling and applying labels, post print. They just need to see the printer running in their facilities using their application.” Again, manufacturers using color lasers printers in production are excellent targets. Second, this company is a chemical manufacturer. As such, they will need to comply to the Global Harmonized System of Classification and Labeling of Chemicals or “GHS” for short. 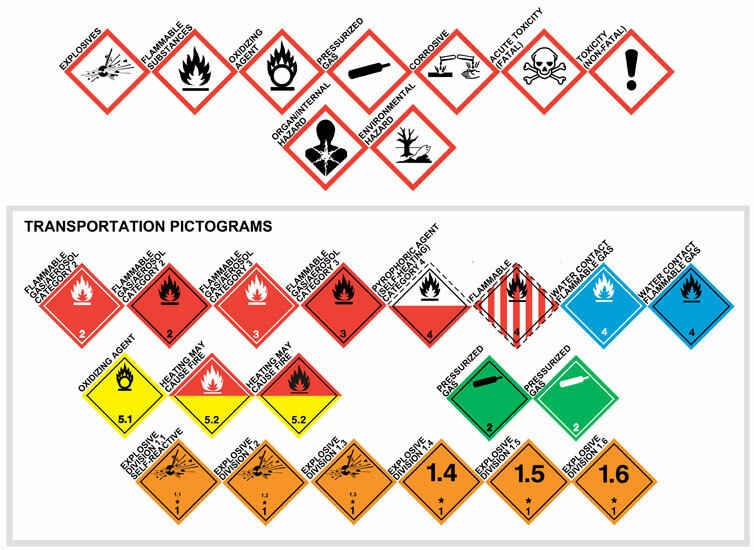 With this initiative, companies like this chemical manufacturer will need to add color pictograms and icons to their labels. You may have seen my post summarizing this initiative. http://colorlabelsondemand.blogspot.com/2012/03/what-h-is-ghs-opportunity.html. Although knowing about GHS, this company had not as yet finalized their plans to comply. But the prospect agrees; they must comply sometime before 2015. Overall, chemical manufacturers are excellent targets for on-demand color labels. Manufacturers of OEM products are great targets for on-demand color labels. Fourth, the prospect produces over 1,200 separate products. With so many SKU’s, it’s impractical for them to purchase, inventory and print with variable data, preprinted label inventory. When companies like this prospect try to use preprinted labels, they increase their label costs. Take a look at these earlier posts on companies moving from preprint to print on-demand color labels. 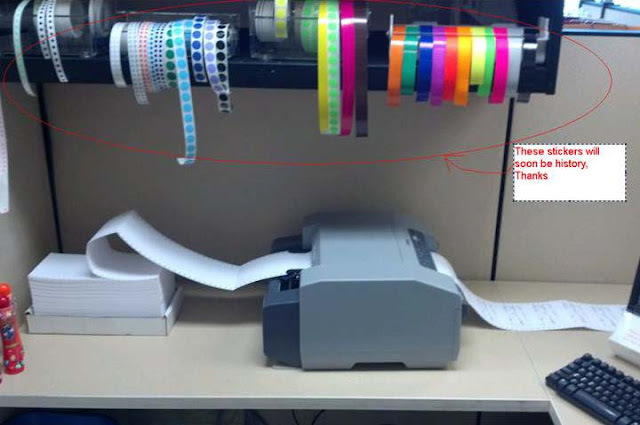 Lots of SKU’s make you or your customers good targets for print on-demand color labels. Fifth, this company produces labels from one of the most common Microsoft Windows application: Word. Integrated with their ERP, variable data is sent to a Word template to produce the label. Although currently using Word, they plan to move to a Crystal Reports-based label printing application shortly. 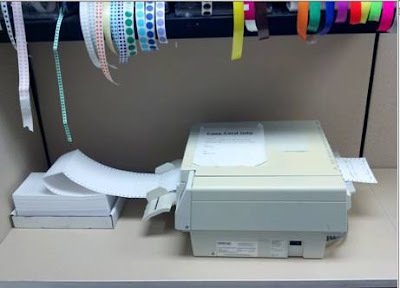 Printing labels from common applications insures the Windows driver for the color label printer based solutions are easy to install, configure and run. If you or your customers have any one of these 5 traits, you could be a great prospect for print on-demand color labels. Contact me to discuss the trait that makes you a good target. ABA Moriah Corporation (http://www.abamoriah.com/) has been selling and servicing printers since 1984. With sales offices in Virginia, Texas and California service nationwide ABA Moriah is positioned to service the largest corporations and Federal agencies. This company sells and service line printers, continuous form laser printers, desktop, mobile bar code printers, RFID printers, ID Card Systems, printer supplies, and software. At a recent party, I spoke with David Carrillo, Vice President of Sales for ABA Moriah about this work; and about my blog. During this conversation, he mentioned to me that he had a customer looking for a replacement for a L1524 continuous form laser printer. After our conversation, Dave sent me an example file to print using Internet Explorer. After setting up the correct page size in IE, the page printed perfectly. 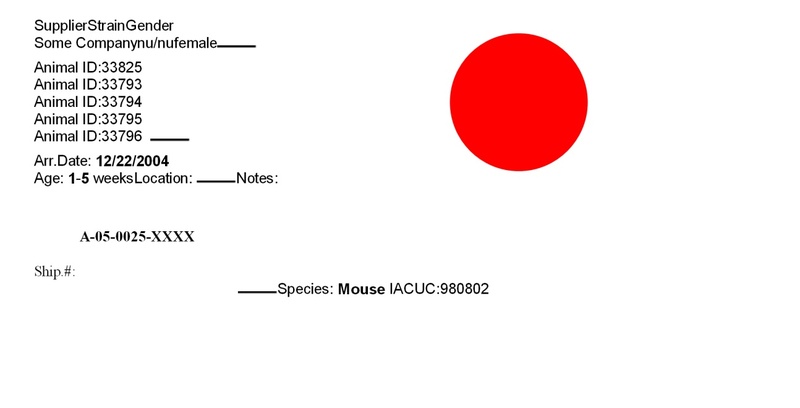 In addition, I copied content into another application that enabled me to add color circles. These colors printed perfectly also. Based on the print samples I produced, Dave sold two GP-C831 printers to his customer, Charles River Laboratories (www.crl.com). 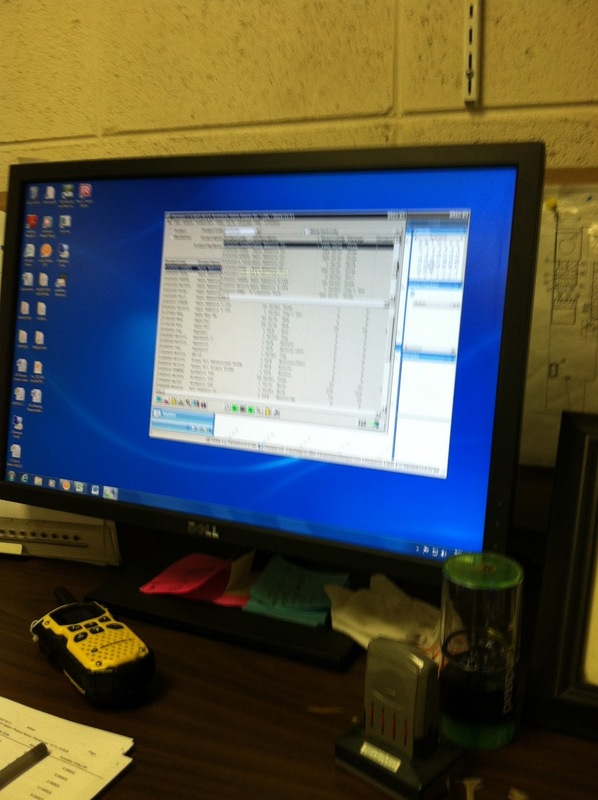 According to Jon Garrett, Senior IT Analysis, the GP-C831 is "Working like a dream. Hopefully we will have our color designed and implemented into our software system within the month so we can get rid of the stickers. 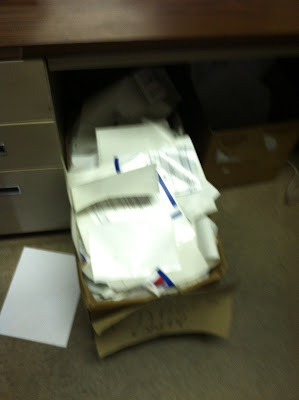 The lab RA’s waste as much as 30 or more minutes applying the colored stickers to the printed labels." If you or your customers are using one of these continuous form laser printers, switch to the GP-C831 before you run out of other options. It’s really low hanging fruit! The goal at KETTLEBELL KITCHEN (www.kettlebellkitchen.com) is to help their customers perform better and recover faster. Their convenient, healthy, and delicious food will do just that! The team at KETTLEBELL KITCHEN is a group of hardworking, passionate individuals who believe in the importance of good nutrition and the value of high-quality, locally sourced food. They think New York based CrossFit participants deserve fresh, healthy meals, following both Paleo and Zone diets. 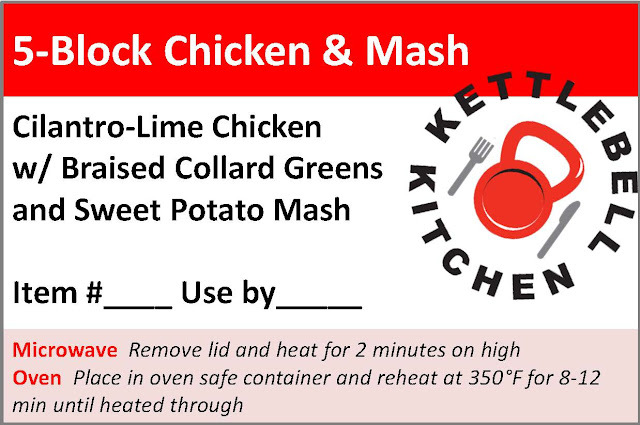 KETTLEBELL KITCHEN is committed to developing nutritionally sound meals that also taste great. After printing and applying the labels, Joe noticed the labels were “buckling” after placed in the freezer or refrigerator. It seems Joe had purchased labels not made for use in cold temperatures. Freezer Grade adhesive is required for labels going on products destined to be stored at below freezing temperatures. In the past, I have had a few requests for freezer grade (You may remember my earlier post covering producing labels for the cryogenic storage of antibodies; http://colorlabelsondemand.blogspot.com/2012/04/very-cold-so-cold.html). This week, however, it seems everyone wanted these types of labels. I even had one request this week for labels for storage down to -149 degrees F.
IJM is an aggressive permanent pressure sensitive adhesive. It exhibits outstanding adhesion to most synthetic films, performing well in low temperatures. A cold temperature emulsion acrylic permanent adhesive featuring high initial tack. Adhesive features very good adhesion to a variety of substrates, including corrugated, rigid plastics, films, glass and painted metal. Not recommended for water immersion. An all-temperature adhesive developed to provide good room temperature performance and excellent cold temperature performance. This adhesive provides good adhesion to corrugated cardboard and makes it an excellent choice for warehouse applications. Complies with 21CFR FDA 175.105 for indirect food contact. KETTLEBELL KITCHEN application story interested me for several reasons. First, I go to Crossfit (but not as “studly” as either Joe or Andy) and try to eat healthy. Second, food manufacturers like KETTLEBELL KITCHEN need to be able produce labels when required. Not wanting to purchase the large minimum orders of preprint labels for all of their SKU’s, small food manufacturers like the idea of producing only what they need; saving money, reducing waste and providing label flexibility. Third, food manufacturers require labels that perform well in freezer applications. Make sure you order the labels with the correct adhesive for these situations. If you or your customers manufacturer a large number of food products, consider moving to print on-demand color labels. It could be the way for you and/or your customers to perform better and recover faster like KETTLEBELL KITCHEN.